THIRTEEN is member-supported public media. 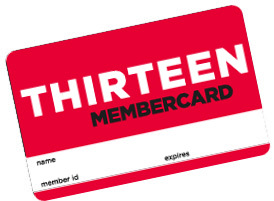 We invite you to join THIRTEEN or renew your membership at any amount that is appropriate for you. Member benefits begin at the $60 level. Access to THIRTEEN Passport, an extended library of on-demand programs. And much more. CLICK HERE for further information.